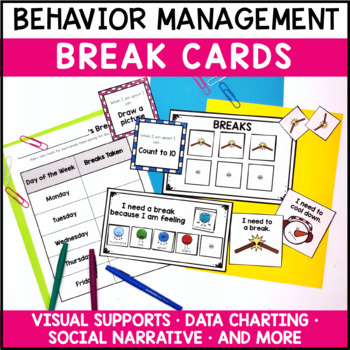 These cards are meant to be used as a nonverbal prompt by the student or the teacher when a child is escalated. They are to try to limit verbal communication, which usually escalated a child more. 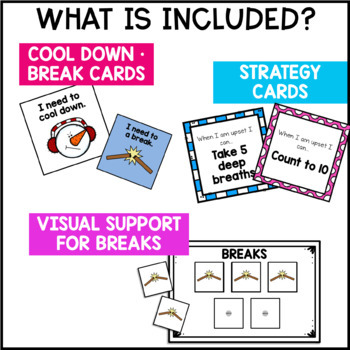 In addition to the break cards, there are strategy cards that can be used in a cool down corner for students to choose which strategy they would like to use! These are great for students with Autism, anger management, or students who have gone through trauma and need assistance and techniques to help them cope.